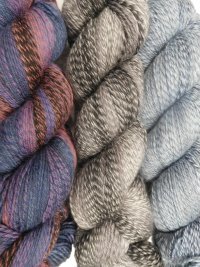 This latest in Cascade's line of merino wool -nylon sock yarn combines the same high twist and soft hand as the others but offers an option for gentle gradient or waves of color. 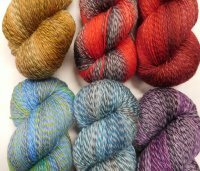 Available in 6 colors, each 100 gm skein is enough for 1 pair of socks (about 437 yds). 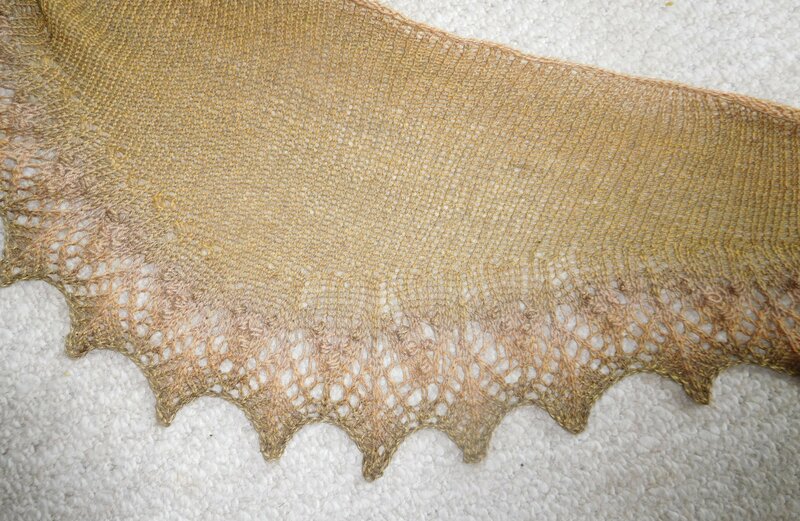 It took less than 1 skein to knit this shawl shown below - and what a lovely drape it has! 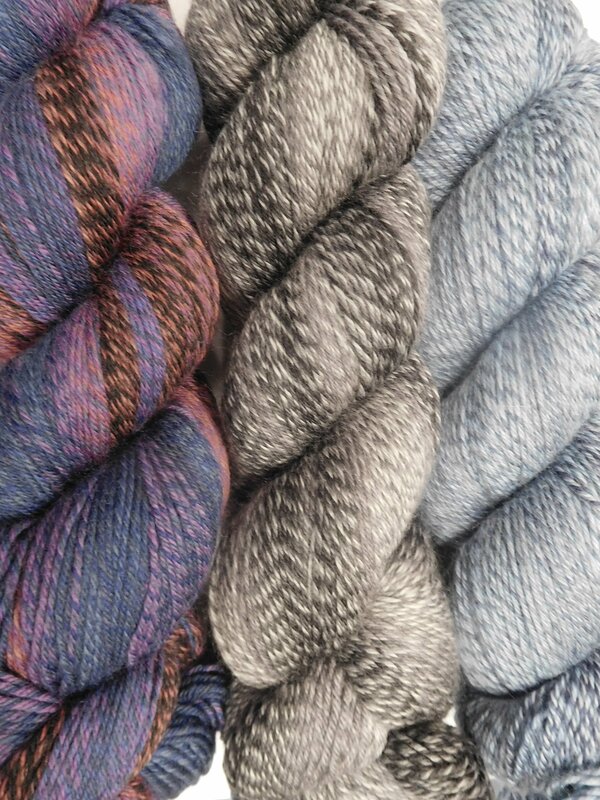 you may need to click on the photo to see the differences between the blues - it is quite significant!